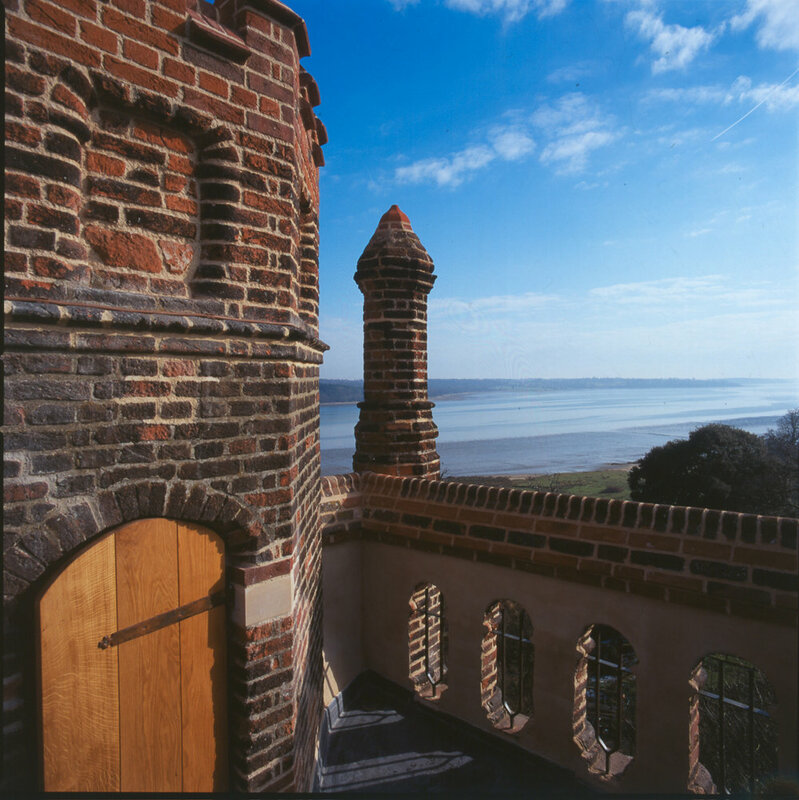 The repair and refurbishment of Freston Tower, an unusual six-storey Elizabethan brick structure overlooking the estuary of the River Orwell to the south of Ipswich, was grant aided by the HLF and English Heritage. The Tower came into the ownership of the Landmark Trust in the late 1990’s who are continuing its use as holiday accommodation as established by its previous owner. The brickwork and lime rendering have been carefully repaired and the crenellations restored to the parapet. New leaded light windows and oak joinery have been fitted and a sprinkler system has been installed to ensure safety in case of fire. A new kitchen and bathroom were installed and the interior redecorated.